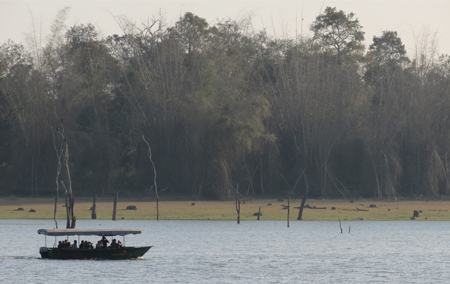 After decades of hunting and destruction by the British and Indian Royals, Waterwoods Lodge, Kabini was the first private lodge to promote the wildlife and pristine environment that Kabini has to offer. In the erstwhile era of Indian royalty and British Raj, forest expeditions and game hunts were the norm. 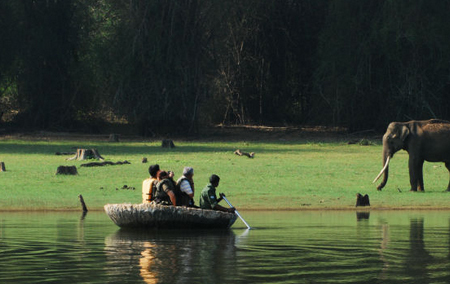 Kabini was known for its khedah operations, trapping animals and other wild adventures. 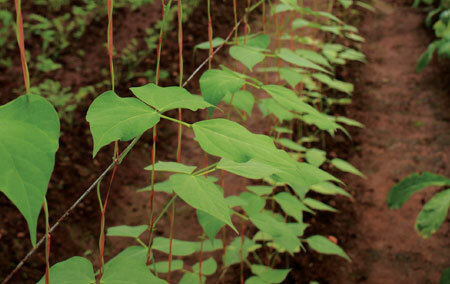 The story of Waterwoods is one of transition – from violent sport to empathetic conservation and responsible rejuvenation. Established in 1999, Waterwoods is a boutique jungle lodge built to provide its guests with homely luxury in an exclusive setting on the banks of the Kapila River. Over the past few years, we have undergone a transformation to provide you with eco-friendly architecture, class quality comforts, adventure activities and fusion cuisine. 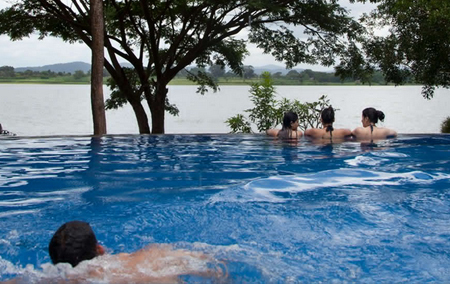 Waterwoods lodge is the ultimate weekend getaway from Bangalore and Mysore, providing premier lodging facilities along with wildlife, adventure and wellness activities to help guests savour a few days with Nature. The Waterwoods Lodge team is passionate about taking care of its environment, which is located in the Nilgiri Biosphere Reserve – one of only 34 biodiverse hotspots in the world. 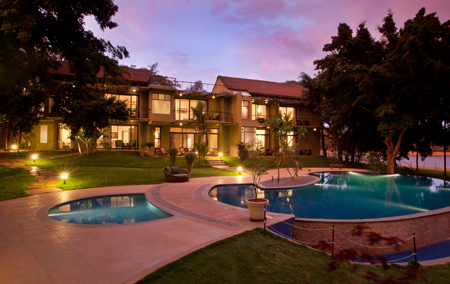 Waterwoods is rated amongst the best resorts around Nagarhole Tiger Reserve. With over 90% of our staff from local villages, Waterwoods Lodge has provided a viable employment alternative for the farming and tribal communities of Kabini. The wildlife-tourism industry has provided the local communities with a viable employment option and a sustainable development model in harmony with the forests, wildlife and fresh water river . Wildlife Tourism has also allowed local people to retain their family bonds and reduces the impact on the rapidly increasing urbanization that is happening in India. By empowering local communities, we believe the ties between tourism and conservation will strengthen further – providing employment, economic growth and value added skills in an area that lags behind on the development index in Karnataka. 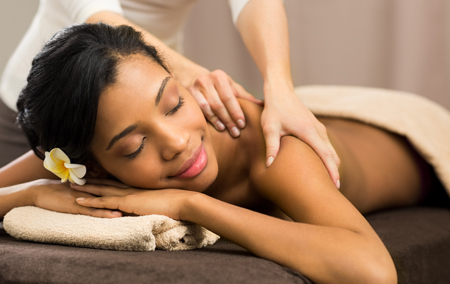 Economic growth in an Eco-Sensitive Zone has to be done in a sustainable manner and Waterwoods Lodge has made conscious efforts in remodeling its property with eco-friendly energy, water and waste systems. Our chief architect is a founding member of the Indian Green Building Council (IGBC) and has helped us create a boutique property that blends in with the environment at Kabini. Over the past couple of years Waterwoods Lodge has been serving its guests home cooked food from its garden, green house and fruit orchard – which is now being expanded to meet the needs of the restaurant. 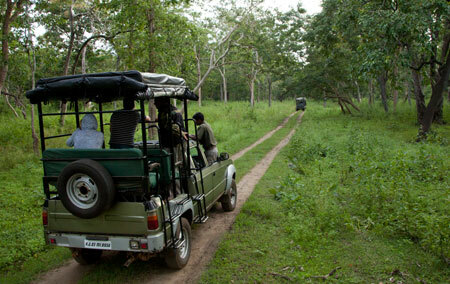 Providing Wildlife Safaris by river and road, Waterwoods Lodge has a team of experienced Naturalists who have ridden the roads of Nagarahole and shores of the Kapila River for the past 14 years. 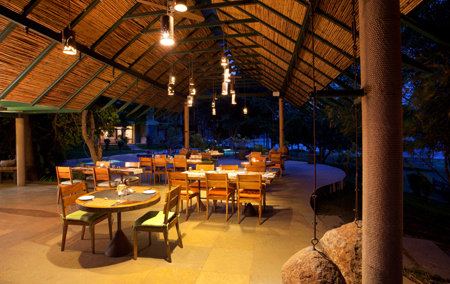 Since its inception, Waterwoods Lodge has been sponsoring anti-poaching camps and all revenue from Safari operations is given to the Nagarahole Tiger Foundation. We have also provided assistance to the forest department in times of need to fight large scale forest fires, provide drinking water to wildlife during droughts and support orphaned elephants with their food, medicine and maintenance costs. We encourage all our guests to visit Balle Elephant Camp as proceeds from this tour go towards the Mahouts (caretakers) of these magnificent animals.